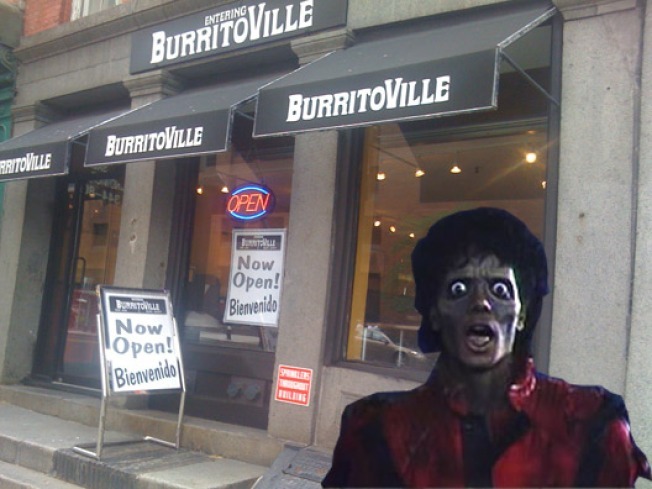 Burritoville Rises from the Dead! In the long 10 months after small chain Burritovilleclosed all Manhattan locations and shut down its website, reports have been streaming in that the old location on Water Street has reopened! Says one, "Menu appears to be exactly the same. No clue if it's only this one location or if the whole chain has risen from the dead." And just as it did last time, Wikipedia chimes in with the most up to date intel. Glory be. Watch out Chipotle and Qdoba: Burritoville's back!